Well, the breaking news is that the US Senate has postponed the voting on PIPA. This should give everybody a good reason involved to think twice on this whole issue. I was replying to Prokofy Neva’s pro-SOPA article but unfortunately his setup tends to eat up my long-winded comments (it’s not his fault — I blame it on the technology). His argumentation is based on a few reasonable assumptions. Second Life creators, exposed to piracy (via CopyBot and similar technologies), should be actually happy with legislation that protects their work even further. This is quite a legitimate assumption, but of course one should question the methods (what Prokofy doesn’t say is that one single disgruntled creator, being unhappy with piracy in SL, could, via SOPA, shut down the whole grid and take Second Life off the Internet by simply filing a claim. This is like killing a fly with an atom bomb!). The second, and perhaps strongest argument, was that nobody actually cared to read the whole bill and is just copying arguments from left-wing, free-for-all-piracy advocates, and forgetting that the entertainment industry in the USA (worth US$1.4 trillion in 2011) employs 2.2 million workers who suffer most under the current trend of content piracy — or so the SOPA/PIPA proponents claim (one can only wonder how exactly an industry worth about 10% of the US’ GDP but employing merely 1% of its workforce is actually “suffering”, but, again, that’s another story). Well, I read the bill. And my own conclusions is that it’s actually worse than those alleged left-wing, free-for-all-piracy advocates are saying — pretty much the opposite of Prokofy’s own conclusions. On the other hand, I’m naturally for defending and protecting an artist’s right to get paid for his or her job. Unlike the more extremist views that believe that artists should work at MacDonalds and do their art for free in the evenings, I defend a different position, and propose a completely different solution than SOPA/PIPA (or OpenACT, which might come in as a handy replacement since SOPA/PIPA were postponed sine die, and that one is nasty as well, even though not so nasty). Please keep in mind that I’m no jurist and no lawyer. Even if I were, I would not be familiar with the intricate details of US law. But I’m merely an old computer geek and amateur philosopher. On the other hand, Prokofy Neva is merely a journalist and a trained Russian translator with experience in diplomacy — he’s no legal expert either. In a clash of opinions, both our opinions matter little: they just reflect how the common person in the street perceives the bill. You would have to prove that Linden Lab knowingly profited in large amounts (over $1000) for a period over more than 3 months […] So even if someone somehow manages to show that the SLM pirated items sold taken as a whole on the SLM were knowingly and deliberately kept by LL there to make a profit from commissions or subscriptions or tier fees somehow, you’d have to show IP holders for $1000 worth of content and all the rest of it. It’s not going to happen. Prokofy claims that it would be pretty impossible to make that claim against LL, and no one in the comments (at the last time I read it) pointed out his misinterpretation. First of all, there is a difference between acting upon copyrighted content and punishment. Punishment, in this case, is applied to anyone who is commiting a crime — in this case, the crime of copyright piracy — and 506(a) is dealing with establishing what constitutes a crime. So, yes, it would be very hard to prove that Linden Lab was committing a crime, and even if the target is a resident selling content on the SL Marketplace, being filed under SOPA by another resident, it would be hard to prove that they had original content worth more than US$1,000 in the first place. Some residents (Striker Serpentine comes to mind) do actually make more than US$1,000 per item sold, but these are rare. So let’s sweep the “crime and punishment” issue under the carpet. That’s not the point. The point is that merely having a site able to host copyrighted content would be liable to be taken down under SOPA. Note that OpenACT doesn’t have the Attorney General shutting down sites, but a “Commission”, but the principle is similar. So what Prokofy is missing here is that Disney (just to take one example, as I did on my last post), which can prove, beyond any doubt, that “Mickey Mouse” or the Disney logo are worth well over US$1,000, could very easily file a claim under SOPA to shut down LL’s SL Marketplace — or indeed, the whole of Second Life, if they understood that the Marketplace is a means to distribute copies of Disney-branded pirated material inside the whole grid. Disney doesn’t need to “prove” anything, and this is what Prokofy (and some honest, but misguided, SOPA-supporters) have missed. The burden of proof is not required, beyond a few snapshots showing what the site is doing and a proof that Disney is the valid copyright owner of the Mickey Mouse design. We all were pretty well informed on how this can cascade upwards: if LL refuses to remove the offending content (shifting the blame to the resident), Disney could force LL’s data centre colocation providers to shut LL down. If they refused — they could claim that it was economically unfeasible (the bill allows them to claim that) — Disney could try to shut down the colocation facility next. If they refused, they could go for the weakest link — ask UltraDNS (where LL has their domain name secondlife.com registered) to remove the domain name. Since a domain name costs perhaps US$10 annually or so, UltraDNS would have no valid claim to say that it’s either technically unfeasible or economically ruinous for them. So they would have to remove the domain name, effectively pulling LL out of the Internet. This is what we all learned in the past months since the bill started to be publicly discussed. But there’s a catch which even the most active anti-SOPA-supporters have missed (or perhaps I have missed the ones who explained this). SOPA did not require operators (content providers, hosting companies, colocation facilities, carriers) to actively monitor their content (probably to avoid going against the First Amendment). However, it allowed them to do voluntarily, and, more to the point, granted them immunity against any lawsuits (and possibly even criminal charges, if one interprets the text that way) if they somehow “harmed” anyone in their overzealous process of shutting sites down (Title I, Section 104). Even if the company shutting down their users’ sites later found out that the users were innocent, they still could go “oops, sorry, I acted in good faith, I hope you’ll understand” and get a friendly pat on the back by the Attorney General for being a good American. In the mean time, whole business could be ruined, and whole websites dedicated to, say, protest against government could be shut down indefinitely — without fear from reprisal. This effectively was one of the more dreadful consequences of SOPA: the ability to pre-emptively shut down pretty much anything in sight that would remotely look like a copyright infringement, with complete immunity from lawsuits and/or financial compensation. And operators would very likely be more than happy to do that, before they themselves were at risk of being shut down due to the cascading effect of the law. SOPA’s language specifically addresses the false claim that providers have to become “copyright police”. They don’t. The law says they do not have to become prior monitors. Read it! As one congressman put it acidly: they have to obey the TOS they already have. SEC. 104. IMMUNITY FOR TAKING VOLUNTARY ACTION AGAINST SITES DEDICATED TO THEFT OF U.S. 3 PROPERTY. So Prokofy got it right that operators have to enforce their own ToS; what he missed is that they can write up very loose ToS that allows them, “in the reasonable belief that some US copyright is violated”, to do whatever they please and get immunity in court from it. This really was very, very messy. Reading the bill is also an education in sneakiness. The bill starts addressing clearly the problem: shutting down “foreign” sites which feed pirated US content back to US residents, and forbidding US companies to sell ads to them (this targets mostly people like Google, who run ads pretty much everywhere — even on Russia-based servers where pirated content is routinely archived and distributed — as well as PayPal and other payment processors, who pay back money from ads and/or services giving access to “speed download” of pirated content). But as the bill goes on, the shift goes away from “foreign sites” to “Internet sites dedicated to theft of U.S. property”. So while at the beginning one might read the bill assuming that GoDaddy would be forced to drop a domain name like ONLINEPIRACY.NET if it was actually pointing to a server in Russia, and one would agree that this would be a relatively effective way of restricting access to “foreign” pirated content. But as the bill goes on, if that very same site is hosted in the US, it’s also “an Internet site dedicated to theft of U.S. property” ands thus liable to be shut down under SOPA as well. But at some point it’s not so clear that the site needs to have “content theft” at all. Section 104, for example, allows sites to be shut down at will without compensation or the right to sue back. So let’s see this scenario. I’m quoting Prokofy Neva on this article. Because he will not like what I’m writing, he claims that I’ve “stolen his copyrighted words” and files a SOPA claim against me, because I’m a dangerous “foreigner” feeding copyrighted material back into the US. DreamHost gets the SOPA claim and shuts my site down; if they refuse to do so, Prokofy can now try to file a SOPA claim against DreamHost for uncompliance with SOPA, and shut the whole of their servers down. Now I’m unable to “fight back” — first, because I cannot afford a lawsuit; and secondly, because under SOPA, DreamHost (or their ISP) are granted immunity. If DreamHost is completely shut down, they might be ruined in a few weeks, and not even allowed to file a suit either against me (because of an “alleged” copyright violation) or against Prokofy (because he chose to misinterpret “fair use” of other’s quotations in my exercise of freedom of speech). They cannot file a lawsuit against their own ISP for the whole mess, either, since SOPA forbids it. But more devious than that is that operators might not even have to wait for a SOPA claim. Let’s assume that Prokofy calls DreamHost on the phone and tells them, “Look, I have proof that the evil Bolshevik Gwyneth Llewelyn, that you left-wing Californian hippies are hosting in that pathetic excuse for service you’ve got there, is pirating my content. 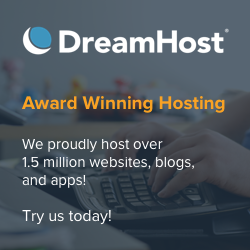 Take her down immediately, or I’ll SOPA you!” What would DreamHost do? Obviously, shut my site down — even without a SOPA claim. That’s just because it’s far safer to shut a client down — their ToS allows it and SOPA will grant them immunity even if I protest — than to face a real SOPA claim which might shut them down instead. That was the real threat of all this messy bill. Anyway. The coast is clear for now (but watch for OpenACT — as said, it’s almost as insidious as SOPA, but has a “lighter” language and might pass), and this was not really an article to “attack” Prokofy in any way, just some ramblings to show that he’s not 100% right in his interpretation of the law, and probably 100% wrong in its consequences. Because the whole point is that the system proposed by SOPA/PIPA wouldn’t work. Still, is it worth protecting artists’ rights or not? I fully believe that to be the case. And here I have to go on a philosophical route. Civilisations, so far, became important as soon as they managed to be wealthy enough to have spare cash for art. You cannot have advanced art without civilisation; and the reverse is also true. Imagine a world without music, TV, books, computer games — because all those people didn’t have enough money to survive and had to starve. We’re so used to be surrounded by cultural products that have come from all sorts of creative artists that we forget that most of what we actually consider “civilisation” is, indeed, art. Even non-art-y things like, say, democratic institutions, a judiciary, a workplace and so forth, don’t exist in a vacuum. They are inside buildings — an art form. They use furniture — design is also a side-product of art. In fact, art and civilisation are so mixed up that it’s often hard to see when one stops and the other starts. Now, so far, we have just figured out three ways of sponsoring art. The first was State-sponsored art — this was how most of Egypt and Ancient Rome got their architecture, for instance. A civilisation wealthy enough produces a surplus, and that surplus can be channeled towards supporting artists and creators, at the expense of taxpayers, to make the world a more beautiful place. Starting in the Renaissance (14th-17th century) but actually going well into the 18th century, we came up with a different model: patrons. Now there was so much wealth that it was not only the state — usually the monarchy from its own coffers — that were able to sponsor artists, but wealthy merchants could do the same, too. In Europe, the Church — even individual bishops — could afford to employ artists as well. As a consequence, art bloomed in this period, and it had a further advantage: not only “State-approved” art was able to flourish, but even dissident art, appealing to just a few, could be sponsored by a patron with peculiar tastes. Still, this model didn’t get a “critical mass” of artists. This required the Industrial Revolution to accomplish. Now art could be produced cheap (books became really affordable in the 19th century, compared to previous centuries, where they were luxury items) and distributed basically everywhere. Books and woodcuts printed in London could be bought everywhere throughout the “global village” which was the British Empire. This model allowed uncountable millions of content creators to finally be able to produce a wealth of new, cheap art which was available everywhere, and not just for a few. The reverse side of the coin is that the copyright model had to be invented, to prevent competing publishers to simply print their own copies of an original without paying the author anything (Dickens, for instance, was constantly struggling against piracy — and was one of the forefathers of the copyright laws that we have today). This model worked well while printing and distribution costs were comparatively high (compared to the artists’ wages, at least). But the Internet changed all this. Distribution costs are virtually nil, and duplication requires zero effort. Thus the problem today is not how to “stop piracy” — this is completely the wrong approach. The problem is how to ensure that artists get a fair retribution from their work (which is guaranteed to them — as to everybody else on a democratic country — by the Universal Declaration of Human Rights, which is embodied in constitutions and bills of rights all over the democratic world. Left-wing libertarians propose that artists “get a job” and give away their work for free. But this is an extremely egoistic viewpoint. Our whole civilisation is based on the assumption that artists are professionals that only do content creation, and that works because we live in wealthy societies that can afford them. The whole mess of intermediaries dealing with publishing, marketeering, and distribution are a relatively recent phenomena (born in the 19th century), and a “necessary evil” to continue to be able to afford top pay professional artists. The discussion between professionals (people who have a full-time job employing their highly specialised skills) and amateurs (people with a similar set of skills that are able to work for a living and create things in their spare time) is a long one. I always feel that when I separate between professionals and amateurs people think that I’m talking about quality. I’m not. Professionals can have low quality; amateurs can have very high quality. What determines quality is more related to the talent and the ability to please critics than anything else. Still, as a rule of thumb, the more time a person can dedicate to their job, the more likely it is that they produce with quality. We have at the very least some 2500-3000 years of historical records showing that. So the solution of forcing artists to “get a job” and work on their art in the evenings is, well, at the very least humiliating, and just a question of egoism — basically stating that content creators are “not worthy” of being paid for their work and should equally share the results of that work with all the world, which is eager to consume their products but unwilling to pay for it. The left-wing libertarians are fond of pointing out that there exist hundreds or even thousands of solutions that would allow artists to make a living out of their work, if they just only tried. But again this is extremely unfair. For example, a popular music band like Nine Inch Nails is able to give away for free two of their CDs (you can download them from their official site). But, well, they are the NiN. They already had an established career and millions on their bank accounts (from concerts and, yes, CD sales). So the wealthy artists can afford to give away bits of their work once they’re established artists. Others cannot. They certainly can start their own sites, offer their work for free there, and hope that they get hired now and then. In fact, thousands have embarked this route. A few are even successful. And here is the catch: just because some edge cases are actually able to succeed in this model, this doesn’t mean that the vast majority can. It’s rather the opposite: the vast majority cannot survive under any of the current (proposed) models. There are, however, other solutions which do not require SOPA, allow free distribution of content, and manage to provide artists with a fair income. An example is to invite Internet users to pay a small “content fee” every month. In return, they’re allowed to see whatever copyrighted content they wish and share with their friends (assuming the friends have paid the fee as well). Some European countries are toying with this kind of model (the question being mostly where to apply that fee; legislation in Portugal, for example, suggested to add an extra tax to any device able to duplicate copyrighted content, e.g. printers, hard disks and pen drives, computer memory, and the like). This fee gets pooled together, and all registered artists are paid out of it. Now what is a “registered artist”? 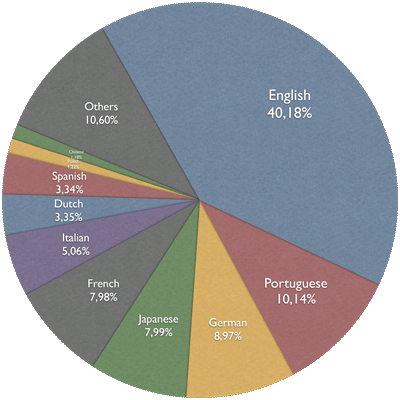 In most of Europe, there are relatively large associations that represent artists of all sorts (remember, computer programming is also labeled as “art”, because computer software is under copyright law). What they do is to collect royalties on behalf of their customers (pretty much like the RIAA and the MPAA in the US). But there was a problem in reaching out to everywhere. Imagine a popular club which invites DJs all the time. Often they would “forget” to submit the lists of musics they had played, and thus “forget” to pay royalties for that. Countries had the option to shut the club down, of course, for failing to comply with the law — but it was hard to prove what was actually played on a particular night, so those lawsuits would drag in court endlessly, and soon become unworthy (clubs would shut down, claiminh bankruptcy, thus avoiding to pay royalties, and the owner would open up a new club next door). The ingenious idea was to charge them a small monthly fee instead, and distribute that fee among the artists. You might ask how they would know which artists would get paid. Well, using statistical analysis. For example, looking at the Top Ten chart on MTV would give you a pretty good idea of what kind of artists were popular that week, and determine the likelihood of those very same artists being played on the clubs. Obviously some would benefit a bit on some occasions, and others would get less than what they deserved (for example, a club might have a “Lady Gaga” night, just playing her music for that night, and if Lady Gaga was just one of the many artists on the overall list, she would get slightly less than she deserved for that particular club). But on average all artists would get paid something. And this model works far better than any other alternative. It was even expanded to include things like pre-paid “collections” of music to be played in elevators, hotel lobbies, inside malls, and so forth. All those small contributions add up and eventually trickle down to artists all over the world. Registration is also a simple process, all you need to do is to have at least one work of art attributed to you and pay a small fee as well (in my country, you just pay it once in your lifetime). If you look at it in the following way, it’s a bit like transferring the burden of payment to a more abstract level. There is little connection (in terms of royalty payments) between the music listener and the performing artist. The artist does his or her job; the listener globally contributes financially for a community of artists to survive. In a sense, it’s not very different from paying taxes (and, in fact, some groups suggest the creation of an “artist’s tax”): you contribute abstractly with a slice of your income to be able to pay for a lot of infrastructure that you can benefit from. The issue here is that not everybody wants to get access to cultural items (while on the other hand everybody wants to have access to justice, protection, education, etc.). So it would be “unfair” to tax everybody to be able to afford to pay some artists, which not everybody would benefit from. A slightly more “fair” system would only “tax” those that are interested in acquiring cultural items. So imagine the following scenario. In this world, we currently can get access to cultural items in two different ways. One is atom-based — a physical book, a physical CD, a sculpture, an oil painting, etc. Or we can go to a concert, an exhibit, a lecture, and so forth. These activities require either production of an atom-based item, or contracting services to provide a cultural happening (renting an opera hall and hiring musicians to perform, for example). In these cases, it’s easy to see how the cost has to be offset via a payment, and how the artist — for the benefit of granting you a physical item or a happening — can get compensated for his or her efforts directly. The other way to access cultural items is digitally via the Internet (i.e. the bit-based economy). Here it’s clear that there is no production/duplication cost, no distribution cost (or it’s negligible), no services to hire, etc. Nevertheless, the artist did, indeed, lose time to create the item in the first place — it’s just that putting that item in the hands of the consumer has, for all purposes, zero costs. So in this scenario, assuming you’re interested in getting access to that item, it makes sense to compensate the artist, but nobody else. However, this model is impossible to track — duplication and distribution are far too easily done at zero cost in a perfectly anonymous manner — so the artist, in effect, gets nothing. Unless, of course, we turn the whole contribution system upside down. Instead of having artists (or their representatives and agents) tracking down who is consuming their cultural items, let consumers contribute abstractly towards a common pool, from which the artists get paid. There are actually similar economic models using this principle. For instance, flat-fee Internet access assumes that everybody pays a monthly charge to be able to “transfer whatever content they want”. It’s irrelevant if you just play games, write blog posts, or answer your email: you just pay a monthly fee for the privilege of accessing whatever you wish on the Internet. Similarly, some phone operators charge you a flat fee per month and you can make as many phone calls as you wish. Throughout Europe (and most of Asia and Africa), when radios started to become a familiar item, governments had to find a way to fund a public radio station. Since radio was not yet widespread, it seemed unfair to force everybody to pay taxes to setup a public broadcasting system. Instead, if you wished to listen to radio for free, you’d pay a “radio license”. You could have as many radios as you wish, or even listen to radio with your family, and listen for as long as you wanted: there was just a single fee to be paid once per month. Later on, when more public radios came online, this “radio tax” was pooled together and distributed among the radio stations. And even later on, when TV became commonplace, the revenue from that tax would be distributed among public TV stations as well, or a separate TV license had to be paid for. The principle was always the same: you were entitled to listen to radio or watch TV as much as you wanted, with as many people you wanted, so long you paid the monthly fee for your home. In some countries, this license covers Internet usage as well (since you can use the Internet to watch live TV or listen to radio). So I propose that, instead of “going after pirates” — a waste of time and money, since there will always be content pirates, and the more they’re fought, the more clever they’ll become — it makes much more sense simply to get a contribution from everybody who wants access to digital content “for free”. In fact, that very same digital content suddenly becomes paid digital content, but we won’t see it that way. Internet operators could thus offer, as part of their services, a “cultural pack”, where you get Internet access plus a small licensing fee to be able to view as much digital content as you wished, and share it with others who have paid the same fee (content operators can just focus on blocking access to those who refuse to pay a “digital content access fee” and still insist to access copyrighted content instead; this is far easier to manage by blackballing just a few, excluding them from the Internet, instead of considering everybody as being “guilty” and subjecting them to a climate of terror). This paradigm shift will all of a sudden solve the whole problem of “content piracy” by creating a new source of income for artists. Under this model, Disney wouldn’t sell less DVDs. People who buy DVDs do it for several reasons — a collection item; an easy, portable way to use the same DVD on different places with friends — etc. ); viewers of pirated Disney content wouldn’t buy more DVDs if Disney managed to shut down the Internet (because they would fail, of course). Instead, Disney would all of a sudden get some additional income via this “digital content access fee”. Not much, but some. If every American interested in viewing digital content in their homes without buying a DVD would pay something like US$10/month for the privilege of having access to copyrighted content, this would mean something like US$20-25 billions annually that would be shared by all copyright holders in the US — Disney would get a share from that, too. Of course, that might not mean actually much, for a megacorp which makes, on its own, US$40+ billions annually. I haven’t calculated the percentage of all digital content sold in the US, and how much of it belongs to Disney and its subsidiaries. Some sites claim that Disney has 8-10% overall market share; so this would mean (using a proportional system to allocate pooled fees) some extra US$2 billion per annum. Not bad, considering the alternative — lobbying at Congress and Senate for SOPA/PIPA or its successors, paying for expensive lawsuits trying to crush the “piracy networks” and so forth. This is pretty much sitting on their chairs and watch the money trickling in without effort — in fact, with the same effort as people download Mickey Mouse movies over the Internet today. But we can go a step further. If the worldwide consortium of intelectual property agencies and representatives pooled their efforts together, and all signataries of the Berne Convention would agree to charge a “digital content access fee” to their citizens, and assuming a low value (probably adjusted from country to country), well, then Disney’s income due to this “digital content access fee”, pooled together from all the world, would grow five-fold. Now that starts to make a difference — that would mean that 25% of Disney’s annual revenue would come from doing virtually nothing, and just allowing people to share whatever Mickey Mouse (or rather, Pirates of the Caribbean) movies they wished. Contrast that to getting white hairs from even thinking that all those hundreds of millions of people are watching the very same movies for free, and would continue to do so even in spite of SOPA/PIPA. Economically, this seems to be a far more interesting route to go. Would Disney be happy with such a model? Well, consider how movies are licensed to network operators today: they’re based on an estimate of how many people actually watch a Disney movie on their TV. Most networks can only give Disney estimates. Of course those estimates are not too far off, but the truth is, in most cases Disney actually does not know how many people watch their movies streamed via a TV or cable network (as opposed to, say, how many DVDs are sold worldwide — and even so, they don’t know how many times the same DVD is viewed, and by how many people at home). Even on sophisticated set-top boxes which report back to the network what show is being watched, the TV might be on and nobody watching it, or a group of 30 friends might be sitting in front of the TV and watching the show together. So Disney has to license their movies based on estimates. This model of “digital content access fees” will also just give estimates. Assuming that Disney gets 10% of the whole pot, this would roughly correspond to selling, say, 2 million DVDs per month. Sure, it’s likely that some movies might be seen way more than that. But others might not be seen at all. Millions might not watch any Disney content for months and months, but Disney would still get a slice of their fees. So on average what this means is: instead of “outlawing piracy”, which, so far, has not only shown to be pretty much impossible to do, but as a consequence, Disney gets less and less sales anyway — not because of pirated content, but simply because people have better ways to spend their time — the alternative is getting some money for copyrighted content without any effort whatsoever. Well, this is not strictly true: under my proposed model (based on how copyright registration agencies actually work today, even though they don’t charge universally, but just to places like clubs, radios, hotels, congress centres, etc. ), the amount a company/artist actually would get as a slice of the collected fees would depend on their overall market share in the entertainment industry. So Disney would still have to invest to keep that market share up! That means still being able to release new titles all the time, and make sure the audience actually wants to watch their titles. Of course I’m aware that this model has some flaws. For example, it relies too much on the notion of “market share”. Nowadays, because we have atom-based products (CDs, DVDs, etc. ), and services (theatres charging for tickets, concerts, TV/radio broadcasting, etc.) it’s relatively easy to compile “Top Ten” charts where you get a feeling of what the public is currently watching. But if more and more people watch digital content online, the atom-based product industry will become less and less important, so it will be hard to calculate “market share” from there. On the other hand, the service aspect of entertainment seems to be on the rise: musicians rely more and more on concerts to get their income, and less and less on CDs. But this “service” aspect does not reach every artist type: sculptors as well as oil painters or even book authors require pushing atom-based products to their admirers in order to be able to make an income. A digital picture of a sculpture is not the same thing as a marble statue. So how would a sculptor work under this model? Book authors might have it a bit better: Amazon.com reported that they sold more eBooks than physical books last May, so it’s conceivable that an author’s overall market share could be determined that way, thus ensuring a slice of the collected fees to cover for duplicated eBooks shared with friends; on the other hand, on a model where everybody pays for access to duplicated eBooks without buying them from Amazon.com, how would the authors know how popular they are? On the other hand, this model would hurt Hulu.com, iTunes, Amazon.com, and the many other providers of licensed digital content, which are sold unit-by-unit. They wouldn’t be able to survive under a system where basically anyone could become a provider of copyrighted digital content. They might have an edge for a while — by providing excellent service, and good download speeds, they might attract consumers that would prefer to pay a few dollars instead of relying on BitTorrent and waiting hours or days (or weeks!) for their content to download. But sites like RapidShare offer similar service for a flat fee, so it’s reasonable to consider that all pay-per-view models on the Internet would suffer. And we shouldn’t forget that most artists want both money and fame. If there is no way to actually know which artists are more popular — because all their digital content gets copied — how can they make claims of being “popular” and “famous”? I suppose that the only way to do that is by constantly polling the audience and calculate their popularity statistically. After all, this is precisely what happens with most products and services, specially with those that are not very tangible. For instance, to know if people are watching more TV or playing videogames, you actually have to ask them what they’re doing. Just because they’re listed in a data warehouse as having “one TV and one PlayStation” doesn’t mean they’re using them — they might just be reading books instead. To calculate how much time is spent on each device, market analysts have no choice but to ask people, and elaborate polls and surveys, and hope to get good samples to give them plausible results. I’m also aware that this model is easily “gamed”. Suppose that you have a weekly poll on popularity to determine the “Top Ten Audio Downloads of The Week”, which would be used to calculate the fair share of the fee allocated to the artists. Nothing would prevent an artist (or their agents) to launch a huge campaign — “vote on artist X and get a free, signed DVD” — hoping to influence the audience to reply in a certain way, to artificially raise “market share”. Of course this is simplistic — if “voting” is anonymous, you might just get the signed DVD and vote on a different artist 🙂 — but you get the idea. Nevertheless, statisticians can predict poll results for a democratic election (which is anonymous, too) with a reasonable degree of accuracy. There are always some surprises on “election day”, but more often than not, the predictions are not way too off. I can imagine that the same happens on other areas, as well. The whole point here is actually being reasonable. It’s not reasonable to shut down the free Internet because some people are avid copyrighted content consumers and are unwilling to pay for it. It’s not reasonable to establish a climate of terror just because some entertainment industry giants are losing market share and are at the end of their wits to invent new models of revenue which are more aligned with the way content distribution happens in the 21st century. While a “digital content access fee” might not be a perfect solution, and has many flaws, it’s at least a reasonable solution. A lot of people will still find ways to avoid paying that fee, of course. But then it becomes far more easier to track down those few — specially in a future world where Internet operators will all include their “digital content access fee” as part of their overall service: because if they do that, it means that they can “prove” to the authorities that all their users are duly paying the required fees, so all of them are “legal” and in good standing, and the authorities can bother the competition. After a few years of this, due to competition and market pressure, I can imagine that all operators will include the fee, and thus, through that simple measure, all consumers will be “legal” consumers. Obviously a few will complain and notify their operators that they do not want to pay the fee — some of which will, in fact, restrict themselves to non-copyrighted content — but since their number will actually be very small, they will be easily checked. The same reasoning actually applies to those countries with TV licenses where households refuse to pay the TV/radio license: they’re few, and so they’re easily controlled to see that they’re not using a TV or a radio at their homes. As a conclusion, I think that at this time there should be made an effort to seriously question — once more! — how to address this whole issue in a reasonable way. The current “clash of opinions” — artists have a right to be paid for their work; consumers are using all kinds of loopholes to avoid to pay for anything — is just due to trying to apply a 19th-century-model on top of a 21st-century-model, and this inevitably creates unnecessary friction, because the two models are based on such different assumptions. It’s unreasonable to admit that we can go back to even earlier models of sponsoring artists — e.g. finding enough patrons to sponsor all artists in existence, and pretty much letting their art remain private. Models where basically the State, as part of its budget, sponsors artists directly are seen as too left-wing by some, and thus become a ideological battle — even though it’s not different from what governments do when sponsoring science, for example. To be a “scientist” requires having a set of skills and an appropriate education, and being able to validate your career (by your peers), so that you can apply for grants. Most countries also have similar models to grant funds to cultural endeavours, although it’s harder to “qualify” art, and it’s even harder to get “tenure” for an artist (unlike what happens with some scientists) — so artists might get a grant for doing an exhibition or writing a book or something like that, but they will have a hard time getting a permanent grant that allows them to live until retirement. My clever roomie Moon Adamant has a sinister, but very intelligent, model of dealing with the issue — one which is far more radical. I’ll share with you a small variant of her suggestion: when registering as an artist, that artist could either go for “glory” or “greed”, but not both. “Glory” is easier to understand: when registering under that model (and assuming that they met the proper qualifications — just like scientists have to do when starting their careers), the State would grant them a life-time stipend to live adequately. They wouldn’t dwell in luxury, but they wouldn’t starve or die from cold, either. In return, they would be required to publish all their content under a Creative Commons Attribution license, while they’re alive (and of course, failure to output a reasonable minimum of content would also cancel their monthly stipend — again, this is the equivalent of what happens with scientific researchers in universities). When they die, all their content would immediately become part of the public domain, and during all that time, the State would guarantee that their collective work would be universally accessible (e.g. through State-sponsored libraries and museums): for instance, their eBooks or MP3 would be available from State-sponsored websites. It makes sense: collectively, society is paying for their living, so their art is part of the collective heritage of their country. Again, this mirrors what happens in science today: published papers are part of the collective heritage and are freely duplicated and copied (and cited! ), so long as there is attribution. Under the “greed” model, the artist would have freedom to pursue whatever commercial model they wanted to sign up with for publishing/distributing their content, but their rights to the content would expire after their deaths — no effort would be made by the State to “preserve” their artistic production. It would also expose them to the risks of piracy, of course. This is not unlike what happens with commercial research, where the results are trade secrets and remain unpublished, but inventors might earn a huge profit by secretely applying their knowledge to industry products (unfortunately in our world patents overprotect their inventions well beyond the 10-year-limit they were supposed to be protected, but that’s another story). Of course that Moon Adamant is expecting the perversity and the greed of humankind to prevail to make this system a better one than the one we have today. For instance, public TV would obviously favour content from artists that have all their works available for free — because it would be so much cheaper. Publishing houses, since they could grab a “glory” author’s book from a public electronic library and freely publish copies of it without doing anything else but mentioning the author’s name, would obviously prefer to launch whole collections of “public” novels instead of signing contracts with the “greedy” types, and saving money that way. Music labels would prefer to do tours of “glory” authors — because they wouldn’t need to pay them any money for performing, and could even sell the tour videos to TV channels. Contrast that to the current model, where under the pretext of having to sign up artists under a contract, the publishing houses/recording labels actually end up paying peanuts to artists… who have no choice but to accept what they can get. Once in a while, a “greedy” artist would be so good (in the commercial sense) that the entertainment industry would obviously hire them, but, as mentioned before, just because an artist has commercial success and is a professional, this doesn’t mean that they have any quality. If they have, they would be able to set up the rules under their own terms (and not under the terms we have today). Having the people choosing between artists — some of which would be free to duplicate and view, others which would be paid — would ensure a certain competition between both types: many “beginning” artists, but showing promise (as appraised by their peers), might opt for the “safer” route and go for the “glory” model and guarantee their living until retirement; others, more reckless, knowing fully well that in most areas of entertainment things quickly go out of fashion, would attempt to strike a few good contracts over a short period — say, a decade or so — and then go for a quick retirement. But because they will demand very expensive performing fees, they will have to be very good, or else the companies promoting them (or making movies with them) will not profit enough. This will translate in products with a much higher quality overall, while still ensuring that all artists would survive — and many of them (like their counterparts in the Renaissance) might become world-wide famous, even though they might not wallow in gold coins.